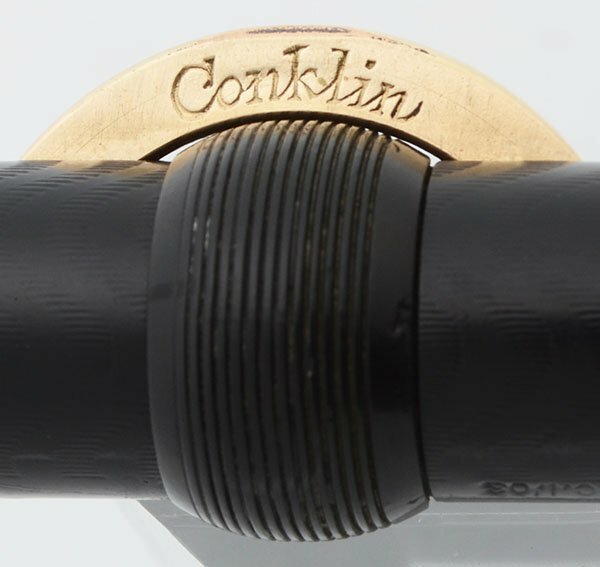 Superior almost oversize version of the classic Conklin Crescent. 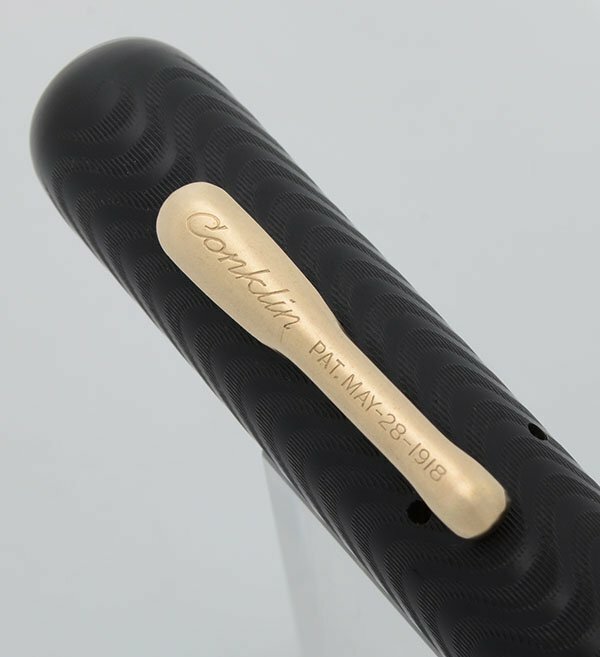 This one is model 50 (previously called the S5), black hard rubber with gold plated trim. Very smooth writing gold Conklin Toledo 5 nib is fine with good flex. 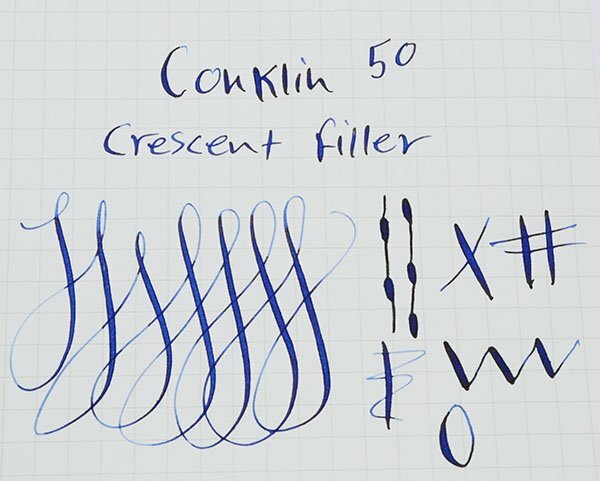 Product Name Conklin Crescent 50 (previously called model S5). Color Black chased hard rubber with wavy lines and gold plated trim. Wide (1/2") cap band. Short gold clip. 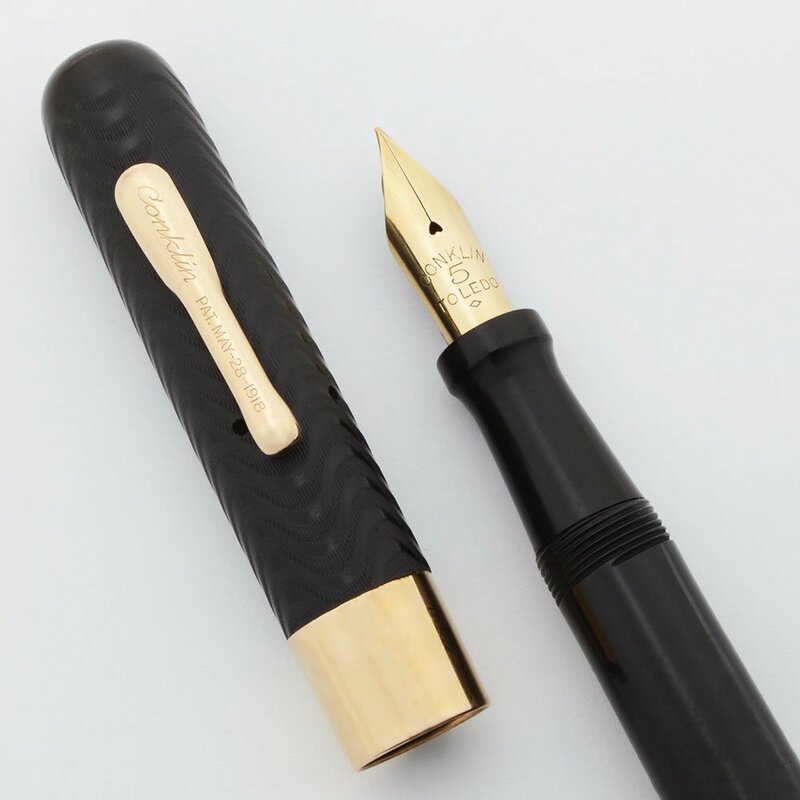 Nib Gold Conklin Toledo #5 nib. Fine, with good flex. Very responsive (see writing sample below). Good tipping material in evidence. Condition Superior condition with no cracks. 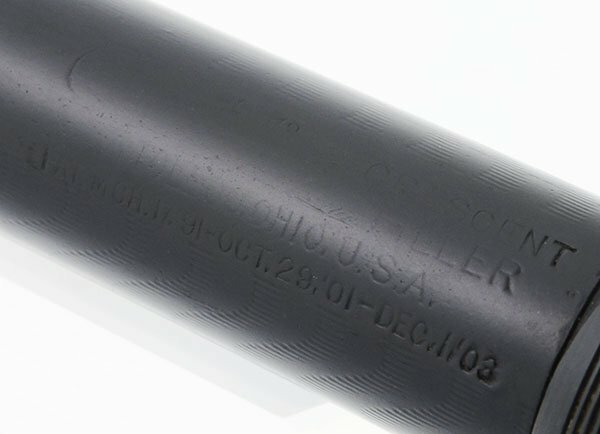 There are some horizontal lines at the top of the barrel (from capping). Otherwise, the barrel has just some light scratching. The crescent is in excellent condition as is the imprint below it, near the end of the pen. 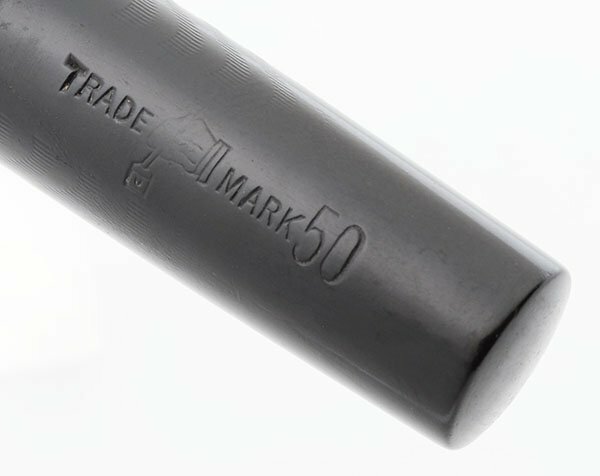 The imprint on the barrel is worn although part of it is readable. The cap looks perfect with no cracks. The cap ring is gorgeous. The clip is excellent and the imprint on it is clear.